Historian and UWI professor Matthew J. Smith joins me tonight at 9PM to discuss his research about Haiti-Jamaica migratory relations before 1915. At the time, Jamaica was the place where Haitian presidents went into exile then and in 1900 Jamaicans were the biggest group of English speakers in Haiti. He will tell us about his latest book on the topic: Liberty, Fraternity, Exile: Haiti and Jamaica after emancipation. We'll also discuss broader patterns of inter-Caribbean migration during that time. You might be surprised with what you find out. 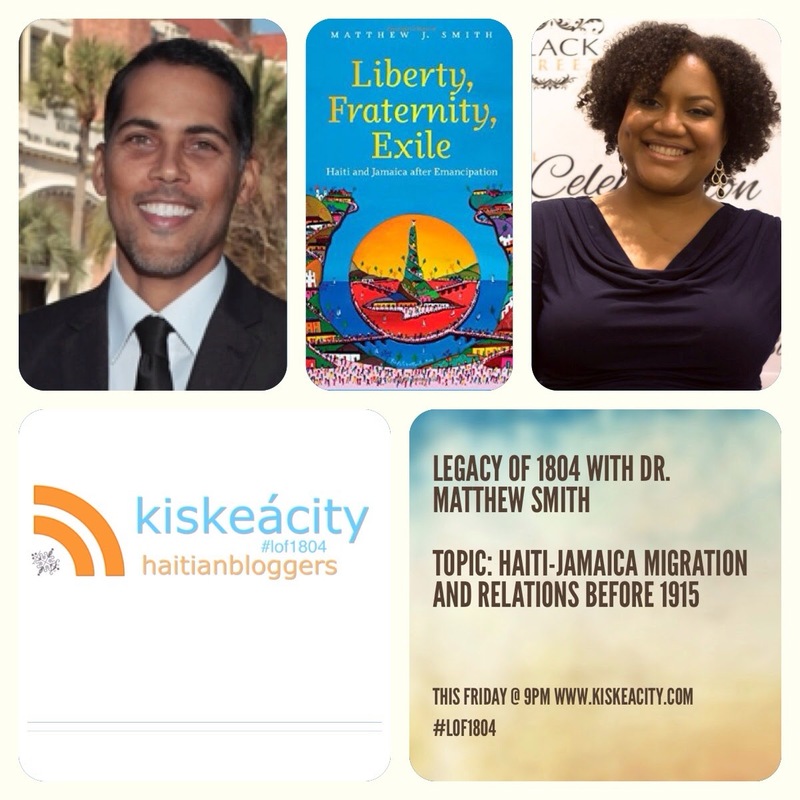 Listen live or archived at http://www.blogtalkradio.com/blackwholeradio/2014/11/15/legacy-of-1804-with-dr-matthew-smith-haiti-jamaica or at 323-927-2913. Use the hashtag #LOF1804 to react on Twitter!